Think five-star hotels and resorts are the only accommodation options for luxury holidays? The ever-increasing trend of renting privately owned villas, apartments, châteaux and homes has led to a growing number of luxury choices for travelers accustomed to the very best. For some insight into high-end holiday rentals, I chatted via Skype with Paola Fiocchi Van den Brande, owner of Passepartout Homes. Currently living in London with her husband and two daughters, Paola is originally from Italy where she graduated from the Catholic University of Milan with degrees in Russian and German literature and social psychology. After working in Brussels and Frankfurt, Paola then moved to London where she worked in direct marketing for major publishers IPC Media, Reed Business Information and Bloomberg Businessweek. She left Bloomberg in April 2013 to start Passepartout Homes. What led you to start Passepartout Homes? The primary reason for starting the business is that I wanted to look after my family properly and have a good work and life balance. The second reason is that I’ve probably hit a mid-life crisis where I’d like to do something meaningful for myself, interesting instead of working for others. Starting Passepartout Homes was a difficult decision to make—it was during the economic crisis and also would put a financial strain on my family. I didn’t want to go down the route of finding investors or asking the bank for money. The money would come out of savings, and I gave myself two to three years to determine if it was a good or bad decision. The company launched in basically January 2013, but I worked full time for Bloomberg until April of 2013. I knew I couldn’t do both and decided to focus full time on my business. It wasn’t until September 2013, that I sat down at my desk five days a week building Passepartout Homes. What do you say to people who want to book a luxury holiday, but have never rented a villa and might be weary about receiving the same level of service as compared to a five-star hotel? A villa will offer more space, privacy and flexibility than a hotel. Space is a key factor, especially when traveling with children, other couples or multiple families. I find it difficult to locate hotels with enough space for the entire family or that offer interconnecting rooms. Privacy is a plus when renting a villa. Even in luxury hotels, it’s difficult to find peace with the noise level of neighbors coming home late at night, switching on the television or taking a shower at 6:00 in the morning. In a villa there’s much more peace. 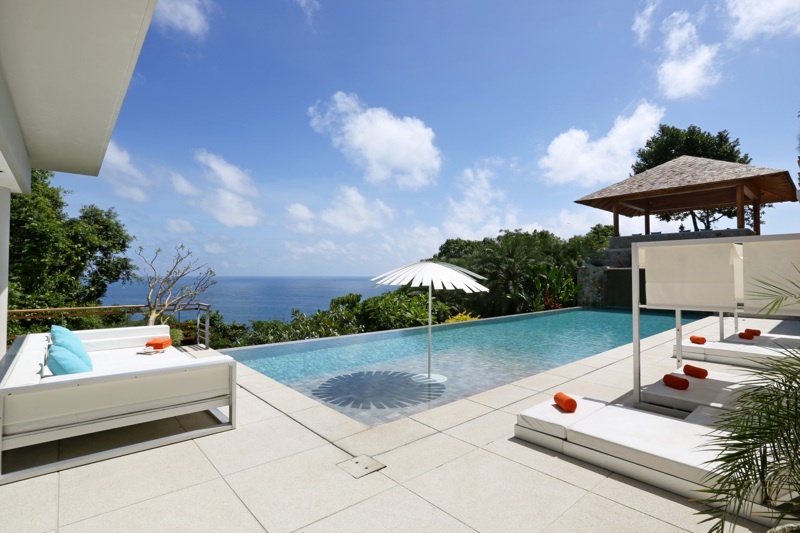 When renting a villa you’re not on anyone else’s timetable; it’s much more flexible. If you’d like to wake up at noon and eat breakfast then you can. Also, desired services and amenities can be tailored to meet your wants and needs. With some of the homes, a cook and daily maid is included in the package. In others these services can be added along with security, a butler, private transfers, etc. There has been quite a bit of press about scams dealing with holiday rentals. Perhaps these homes don’t exist or the person requesting money doesn’t have the authority to rent the homes. What advice would you give to people that are interested in booking a home, but are nervous about being scammed? Customers need to be educated on how to recognize a scam, but also reassured that not every property owner or agency is a scam. I’ve had clients request a postal address of the villa, and that’s something that I can’t just give away. What guarantee do I have that they’re also not a scam? It’s like a circle. If I don’t give them the address then they don’t want to rent. Customers can help protect themselves by not sending money right away. First do some research. Also know that going through a trusted agency is often safer than going through an individual who may or may not own the property. You have villas all over the world. When you’re adding homes to your portfolio what do you look for in choosing properties? The first criterion is that it has to be a villa that I’d be happy to rent myself. If it’s not something I’d rent then the answer is already no. Secondly, the villa has to be serviced. It needs to have someone locally as the first point of contact. They’ll need to open the house and serve as an emergency contact for clients. 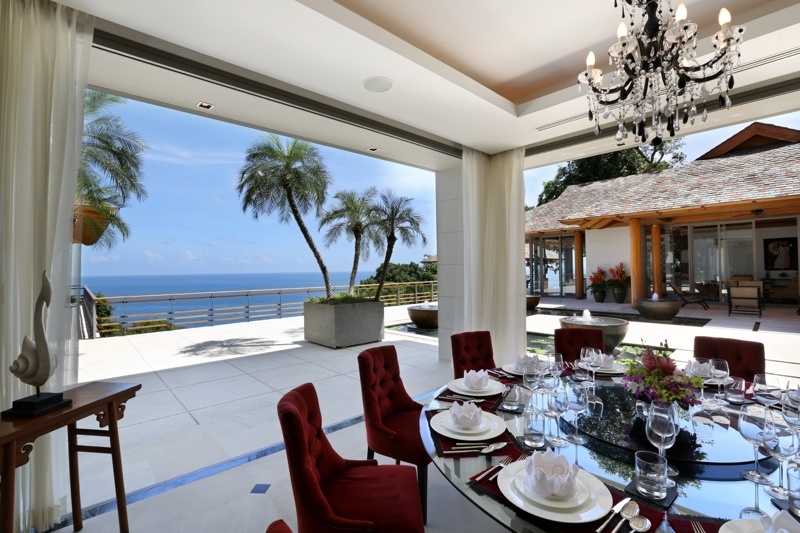 If the villa is in the luxury bracket, this contact person needs to be able to recommend and organize a private chef, private maid, butler, security, serve as a local concierge for organizing tours, massages, restaurant reservations, yoga, or whatever is desired by the client. I also try to work directly with the owners and speak with them regularly. I think it’s important to establish a relationship with the owners instead of being the agency of the agency. Who is your ideal customer? Where do they want to visit? My ideal customer is one who I can trust not to trash the property, someone who treats the property better than they treat his or her own home. My customers are people who like to travel abroad and discover new cultures and places. The person who rents a villa is someone looking to stay in a place more than a few days. They want to live like a local, which allows them to breathe in the atmosphere and culture. Going to the supermarket, bakery and butcher, things that locals do, are experiences that the clients enjoy doing. This is someone who wants a more in depth experience. If you choose a hotel or resort, sometimes you don’t have any idea what goes on outside of the gates. Requests are mostly from Europe, though people love my villas in Thailand. The usual suspects like France and Italy are popular—Tuscany, Paris, Provence—those are the most popular, along with Mexico. Most of my customers are European, though I’ve focused most of my efforts there. I’m just starting to market globally. What are some of the top travel destination trends in 2014 that you’ve seen with your portfolio? There’s a huge request for Paris, but there’s always a huge request for Paris and generally France and Italy. Within Italy, Tuscany is always big. Sardinia for a while was forgotten, but is now up and coming again. Sicily, Umbria and Apulia are now the hot top destinations. Umbria is sandwiched between Rome and Tuscany and very easy to reach. It’s also less expensive and crowded than Tuscany and definitely worth considering. When renting vacation homes, when should people start organizing their holidays? The absolute busiest time is January and February. This is when people are organizing spring break, summer and some are even looking into Christmas 2014. At the moment, 90% of my inquiries are about spring break and summer holidays. September and October are my peak times for Christmas inquiries. It’s essential to book early, especially for the summer, considering almost all of the nicest summer properties are already booked. Most people fly to reach their destination, and the earlier you book the better deals you’ll find. 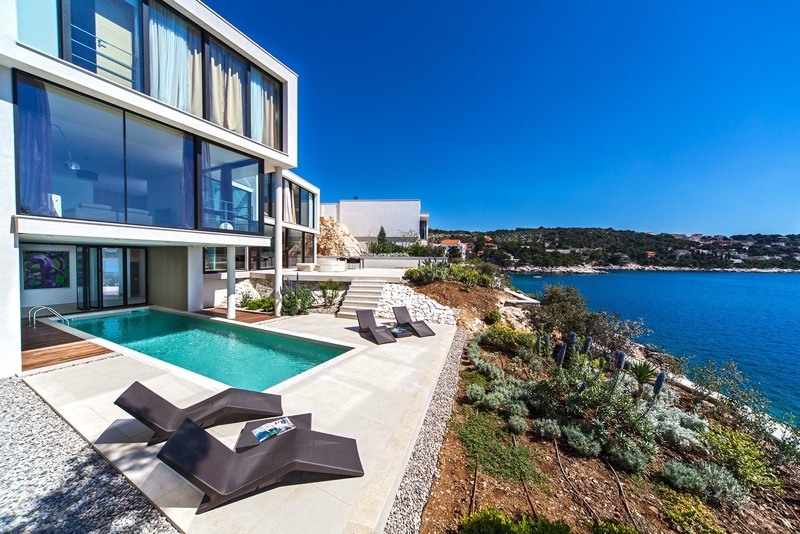 If you wait until May to book a villa, it most certainly will be unavailable. Hotels are different since they have a bigger capacity, whereas with a villa, there’s only one. I know people who book the same villa year after year. In August, they check out and pre-book for the next year. If you had to choose three of your properties to visit, which would they be? I would go the private island in Mauritius, the villa in Apulia and one of the Thailand properties. 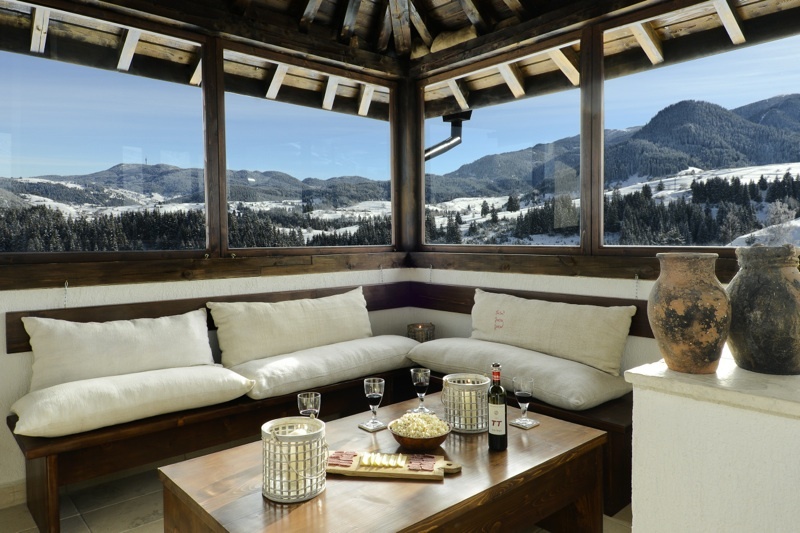 I’d definitely want some sun, though I have some gorgeous chalets in the mountains, which are fully catered with indoor swimming pools and other luxury amenities. I’m not necessarily craving a ski holiday, probably because I’m under the snow at the moment. You’ve not been to Thailand, so are you planning a trip there this year? Where will 2014 take you? I won’t get to Thailand this year, maybe next year. I do have lots of trips planed. 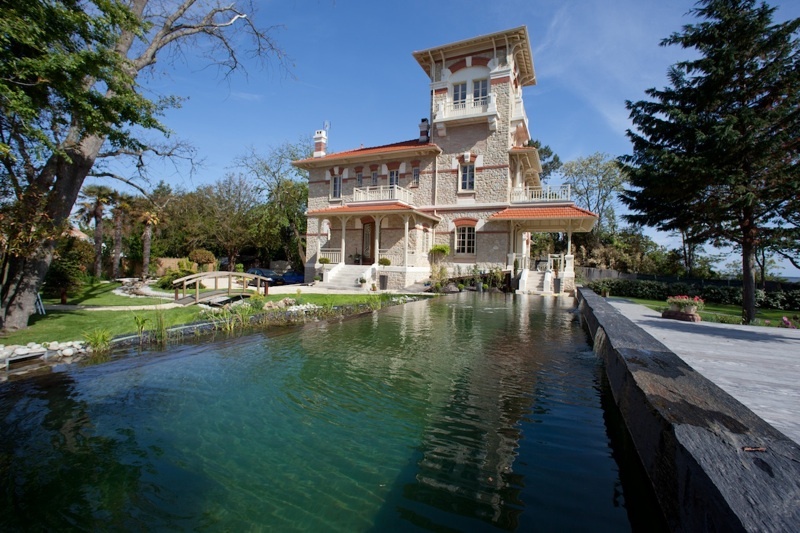 I’m taking a tour of Tuscany in April, and in May I’m going to the Andalusia villa in Spain. I don’t tend to travel in the summer, mostly because the villas are fully booked. Also, I usually disappear during that time to my summer home. In October, I might go to Mykonos or Santorini. What’s your best tip for having an enjoyable holiday? If you can travel in the off-season do so, though with children that can be difficult. Choose a place where it’s not holiday for the locals. For instance, I’m in Italy at the moment. Here it’s not holiday, but in the UK it is. The only people here are myself, myself and myself. You have to carefully choose your destination. For instance, going to Rome for Easter. Everyone wants to be in Rome for Easter. Going in the off-season for the country that your visiting saves money and is also less crowded. This allows you to enjoy the location much more and even receive better service since there aren’t a million other tourists. 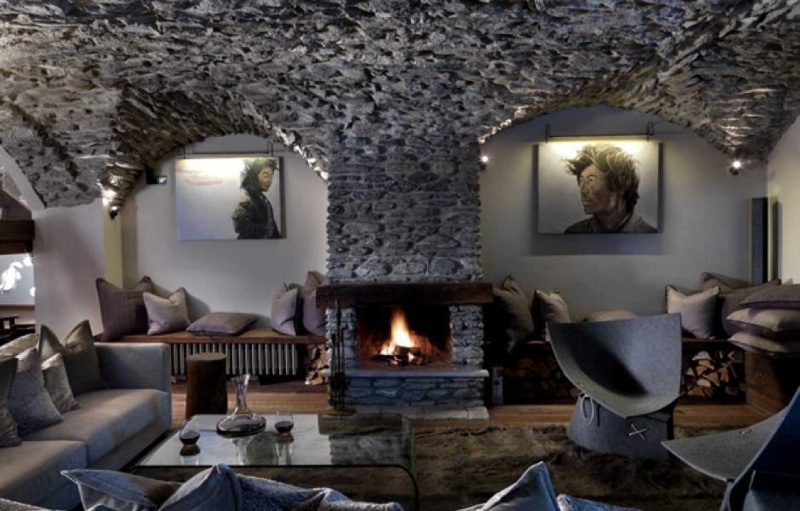 To read the Luxe Beat Magazine version of this article click on the title LUXURY HOME RENTALS. NextFrench Master Chef Hervé Laurent Presents Classic Cuisine Served The Modern Way!